India is building the country's first high-speed rail corridor between Mumbai to Ahmedabad. 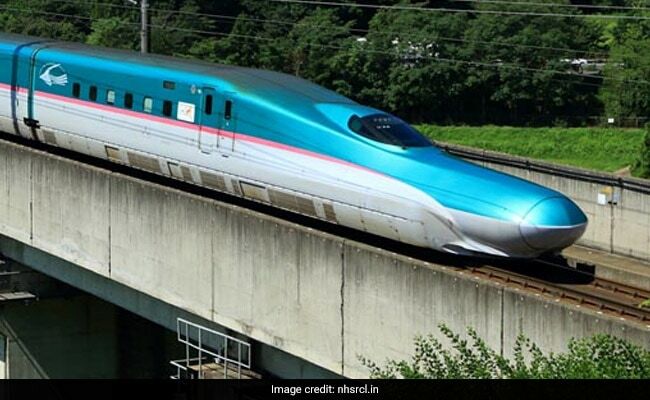 India has proposed to Japan that it is keen to manufacture and export bullet train coaches which could bring down the cost of operating the Shinkansen trains in the country, a senior official of the Indian Railways said today. India is building the country's first high-speed rail corridor between Mumbai to Ahmedabad which is expected to be operational by 2022. Initially, India will buy 18 such Shinkansen trains from Japan for Rs 7,000 crore. "We have proposed to the Japanese side that they help us with the technology to make the bullet train coaches locally. Once we do that, we can build the coaches at a much lower cost. In fact they would be the cheapest in the world," Rajesh Agarwal, Member, Rolling Stock, Railway Board said on the sidelines of a conference in Fukuoka. "Then we can take them across the world. Many countries would rather buy it from us rather than China. Be it countries in South-East Asia, even Europe and the USA," he added. Mr Agarwal said the Modern Coach Factory in Uttar Pradesh's Raebareli is well equipped to produce the coaches. "Add to this around 150,000 skilled workers, 50 railway workshops and around six production units that railways has at it's disposal." "The discussions on this are going on. I believe it's best to manufacture locally and we are seriously thinking about it," he said. If the move works out, it will also open a new business opportunity for the state-owned organisation which is reeling under high operating costs. "The idea is to get Japan to produce not just the rolling stock for railways in India but also other sectors like defence using our manufacturing units. That will be a big takeaway," said Mr Agarwal. The bullet trains, with 10 coaches each, will have one business class coach and nine standard coaches each.